Hello, this blog post might be a bit unusual since it is written by 2 persons. 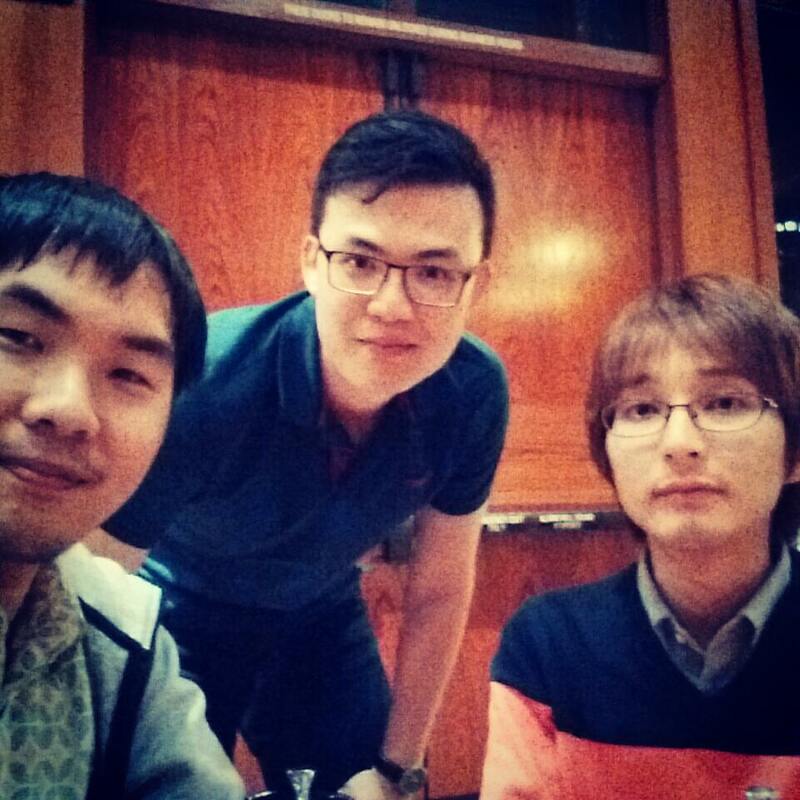 We are Iskandar and Ogawa from the cloud product development team. In this occasion, we would like to share our experience attending Microsoft Build 2017. Microsoft Build is an annual conference held by Microsoft, which is aimed for developers. The venue for this year event is located at Seattle, Washington, and the event runs for 3 days from May 10 to May 12, 2017. From Japan, we joined this event via an organized PTS tour and there were more than 50 participants. 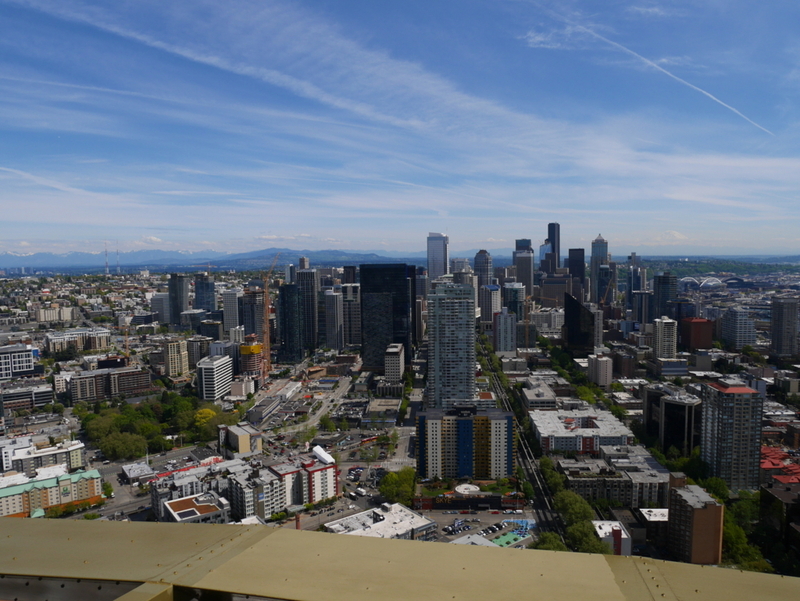 This event was also our first time visiting Seattle, so we were excited to take a quick look around the Emerald City! Microsoft Build Conference kicked off at the Washington State Convention Center. The keynotes were held in a huge venue hall and it seemed that there were over 5,000 attendees in total. 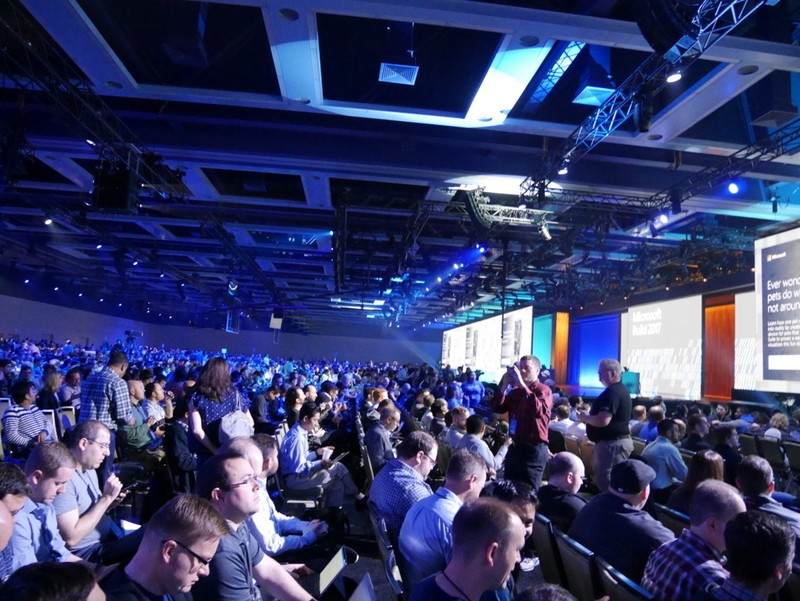 In the keynotes, Microsoft announced many new technologies and services targeting the developers and they also demonstrated many solutions utilizing their new technologies and services. Opening: The first speaker was Microsoft CEO, Satya Nadella. 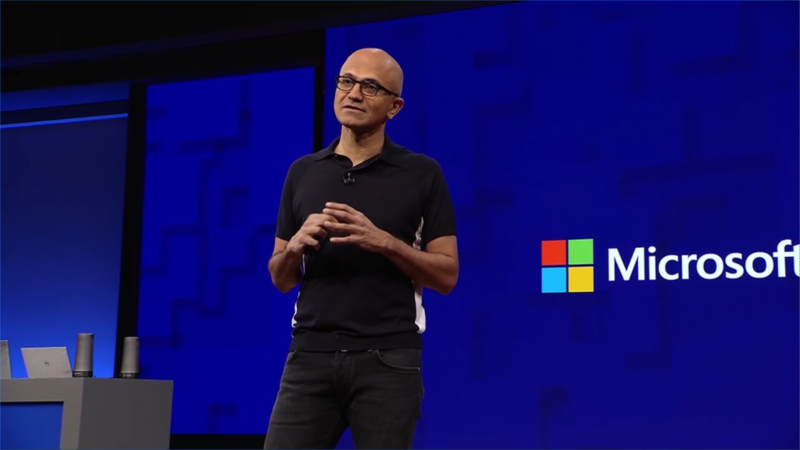 He kicked off the conference and talked about Microsoft’s mission and their future prospects. He mentioned that there are now over 500 million monthly active devices running Windows 10 and more than 140 million monthly active devices. AI for Workplace Safety: AI was the first big topic in the keynote. Microsoft demonstrated how combining Azure and Cognitive Services can enable developers to more easily build intelligent applications. Development and Inspiration: The most inspiring and touching moment for us was the video showing a woman who is suffering from Parkinson’s disease. She was no longer able to write her name properly due to her hands shaking. 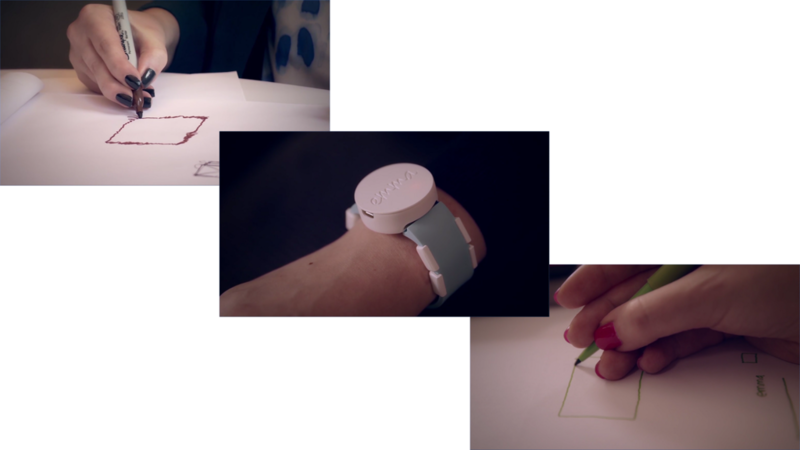 In the video, a Microsoft researcher developed a wearable device that uses electrical signals to make her hands steady, and re-enables her to write once again! 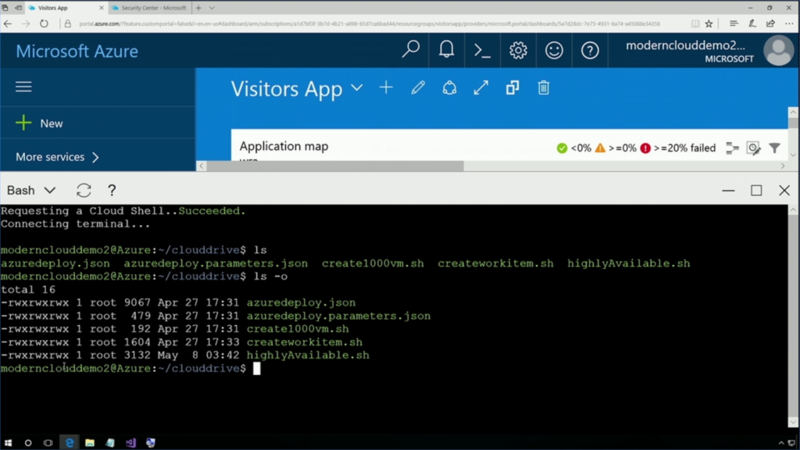 Azure Cloud Shell and Azure Mobile Portal: This is an interesting announcement in the 1st day keynote. We can now launch a bash command line from the Azure portal website. It seems that this bash command is running in a Linux container on Azure. Also, Azure mobile app is available for both Android and iOS. The mobile app also includes Azure Cloud Shell. In the near future, Microsoft will also add PowerShell support in addition to bash. 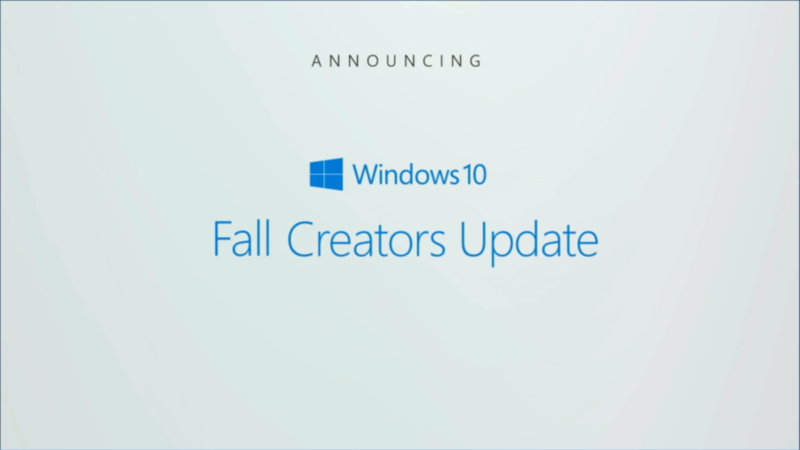 Windows 10 Fall Creators Update: The biggest announcement in the 2nd day keynote was the next major update for Windows 10 that will be called “Windows 10 Fall Creators Update” and will be released this September. This major update will bring many new features to Windows 10 such as cloud-based clipboard, OneDrive Files on Demand, and so on. Motion Controllers for Windows Mixed Reality: Microsoft revealed new mixed reality motion controllers. One of the strengths is that the motion controllers don’t require any external sensors to track the controller’s position because the headset tracks it. 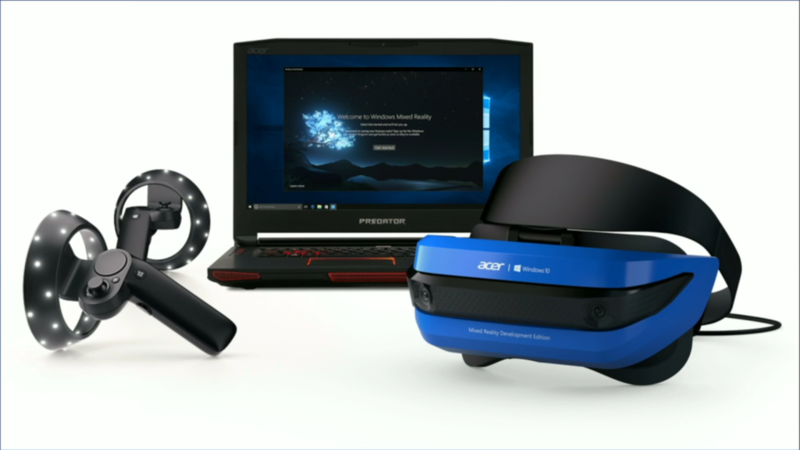 Acer will be selling the headset and motion controllers bundle for $399. In Microsoft Build 2017, Microsoft showcased a lot of Internet of Things (IoT) integration with Azure. Starting from the 1st day keynote, Microsoft introduced Azure IoT Edge, a hybrid solution between cloud and IoT devices. 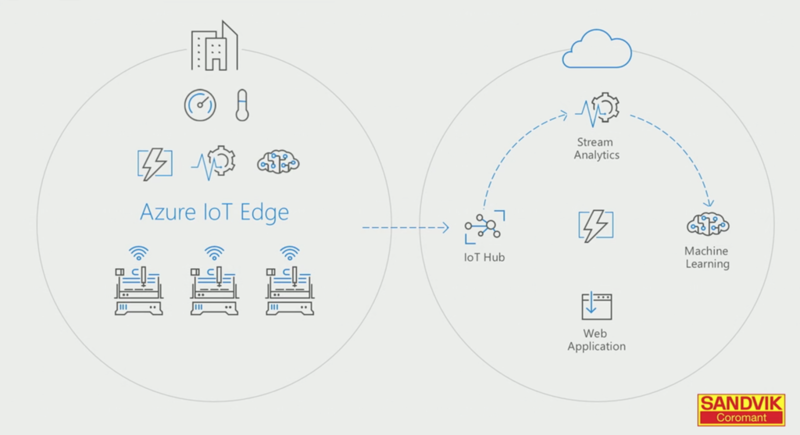 Developers could leverage Azure IoT Edge to develop custom advanced application in the cloud and deploy it directly to run on the top of physical devices. As an example, Sandvik Coromant, a Swedish-based manufacturing tools solution, is utilizing Azure IoT Edge to manage factory machinery and it allows them to improve their automatic emergency response time from 2 seconds to 100 ms by delegating part of application tasks to run locally on the edge. The combination of Internet of Things and Artificial Intelligence provides a range of benefits for industries. One of them is related to work safety and storage handling. 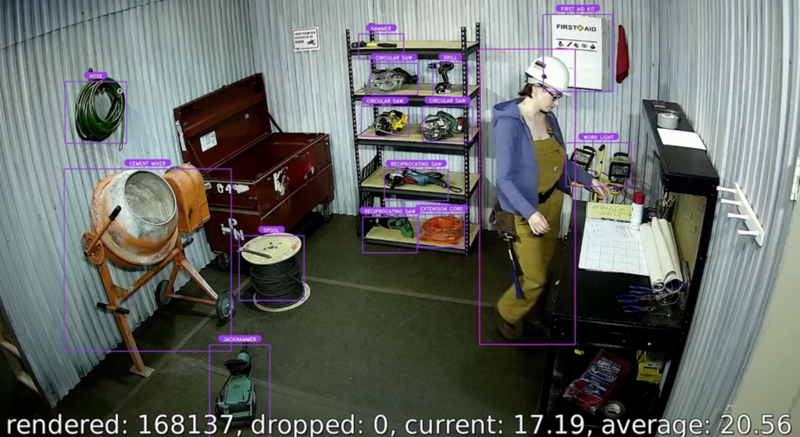 As seen in the screenshot below, IoT devices send sensory input (camera) to the cloud and AI provides processed information of human movement and storage location. If there is a leak in the factory, this system could send early emergency alert to all people inside the respective factory. In addition, workers might be able to find the location of a specific tool faster since it is tracked within the hybrid IoT + AI solution. Azure Stream Analytics provides a platform to run massively parallel real-time analytics on multiple streams of data using SQL-like language. The input data can be aggregated from multiple sources, such as Event Hubs and IoT Hubs. Inside Stream Analytics, developers can create a visualization dashboard with Power BI for better insightful visual. 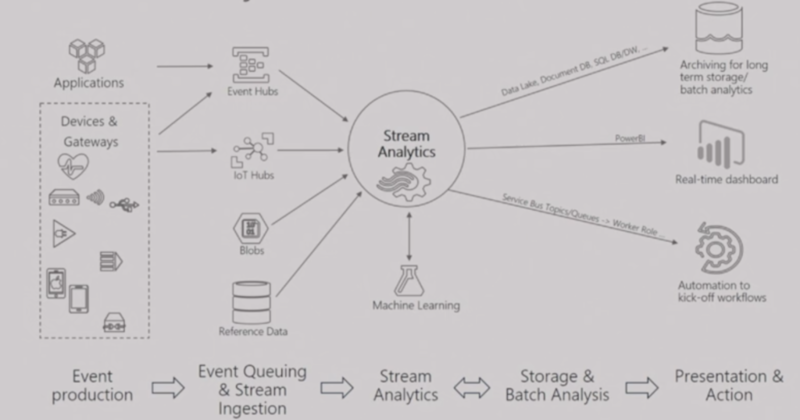 In addition, Stream Analytics can be used altogether with Azure Machine Learning for various purposes: sentiment analytics to the input data in real-time, etc. Finally, Stream Analytics result can be stored in Azure Data Lake, Azure SQL DB, or even used as the input of another workflow automation. This service is particularly useful for IoT system, where users might have over than hundred thousand sensors or devices in the deployment. 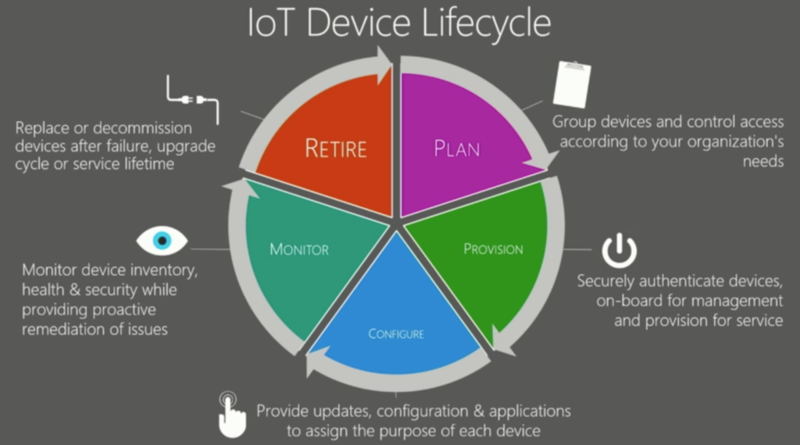 IoT device lifecycle can be defined in 5 steps: plan, provision, configure, monitor, and retire. One of the common IoT deployment problem is there is no easy way to update devices since developers need to think a number of IoT limitations such as low connection bandwidth, unstable connection, per-device credentials, firmware version, etc. Azure IoT Hub added a new functionality which is known as Azure IoT Hub Device Provisioning. This new functionality tries to tackle IoT device lifecycle common problems which are described in brief above. The feature itself is still in private preview, but the demonstration in MS Build 2017 looks quite promising. In one of the presentation session, Microsoft provided basic examples on how Azure services can be used to build IoT system. The picture below shows how IoT system is usually developed with Azure services. “Internet of Things” term is often associated with its security vulnerability. Last year, DNS service provider Dyn was one of Mirai’s attack victim. Mirai malware affected over than hundred thousand of IoT devices. There are a lot of cases where hardware manufacturer used default credentials in IoT devices without providing any proper security guide for users. Azure provides a step-by-step guide inside Azure IoT Suite Security to raise IoT device security awareness for all IoT stakeholders. Security in IoT needs to take a lot of aspects into account: device security which is deployed on-premise, connection security which connects IoT devices & cloud, and cloud security which is handled on the backend. Recently, Microsoft launches a partnership with Cisco for connecting its Azure IoT Suite to Cisco’s IoT platform. At the moment, Microsoft IoT Suite seems to be more complete than other cloud competitors. In addition, Microsoft open source movement certainly gives more upper hand in this newly growing IoT market. Sorry for the bad photo quality!